God's Messengers Dance Company is a non profit dance company that celebrates the life of Jesus Christ through dance. Their performances are beautiful and the audience gets to view different events in Christ's life through their dancing. They do charge a small fee for their performances but that is only to cover the cost of the venue. Their next performance is in celebration of Easter and is called He is Risen. 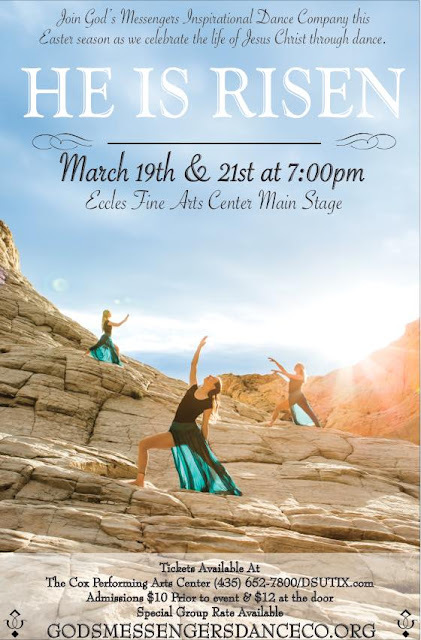 It will be on March 19th and 21st at Dixie State University's Eccles Fine Arts Center. This will be an inspirational performance that you will want to see. 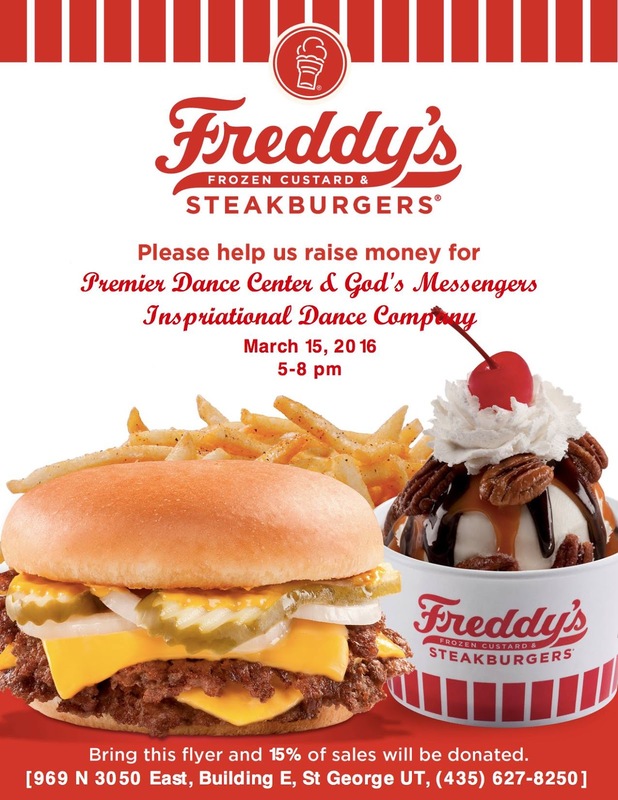 You can also support God's Messengers Dance Company by going to Freddy's for dinner on March 15th from 5-8 pm. Show them the picture below and 15% of your bill will be donated to the dance company.